is the ultimate retro toy that uses programmable directions instead of a remote control. Programme Bigtrak's computer memory, press go and watch and listen as it responds to your commands - forwards, backwards, turning, firing. 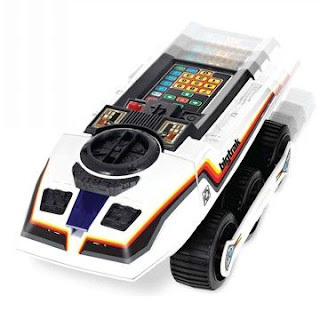 Enter up to 16 separate commands on Bigtrak's keyboard, then watch it go!